Disneyland wasn't very crowded the week before the week of Thanksgiving, but there were still waits for the characters and not very many of them around. 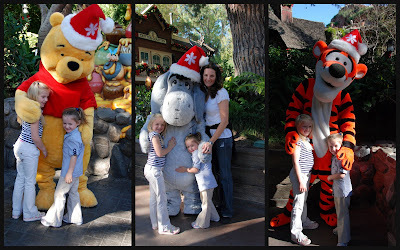 We got pictures with the characters at Pooh corner. I got to have a picture with Eeyore. 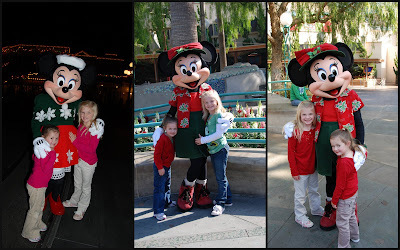 The girls got pictures with Minnie each day- thus the three different outfits. 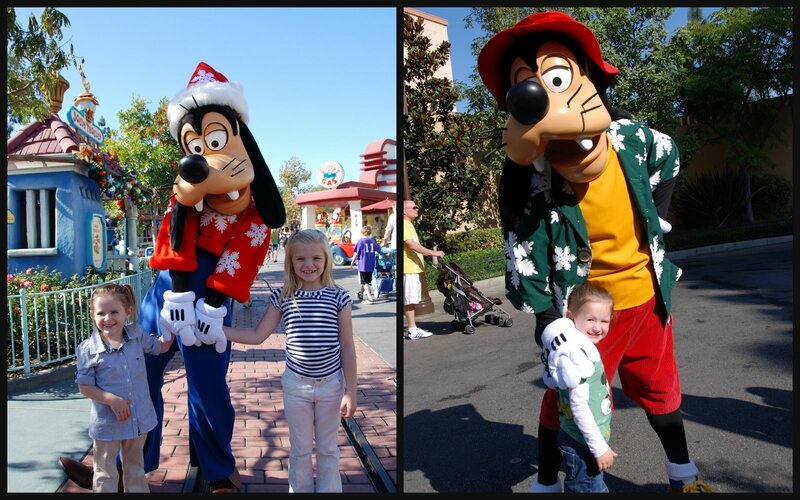 Ivy stopped to see Pluto every chance she got. 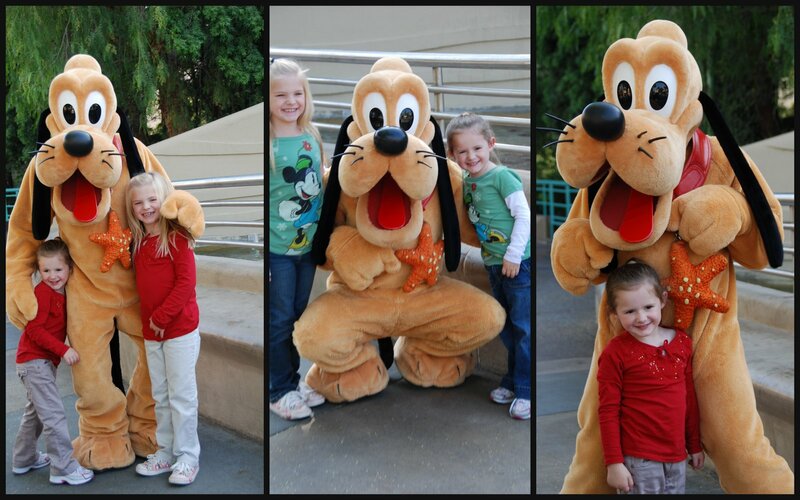 She LOVES Pluto. She kissed Pluto every time she posed with him. Santa isn't a Disney character, but I felt this was the right place for this picture. We really LOVE Walt Disney and his imagination that has made many memories for our little family. 'm so jealous!! Looks like you guys had a great time on your vacation. 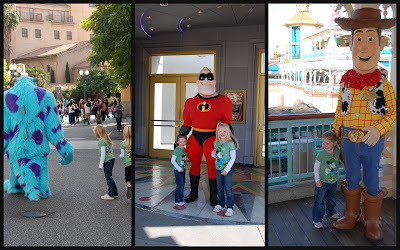 How did you get so many good family pictures? we're lucky to get a single shot with all the kids! 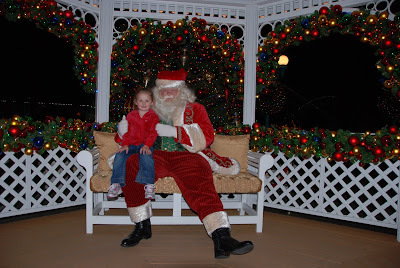 Rachel-- Bring the grandparents and hand them the camera!